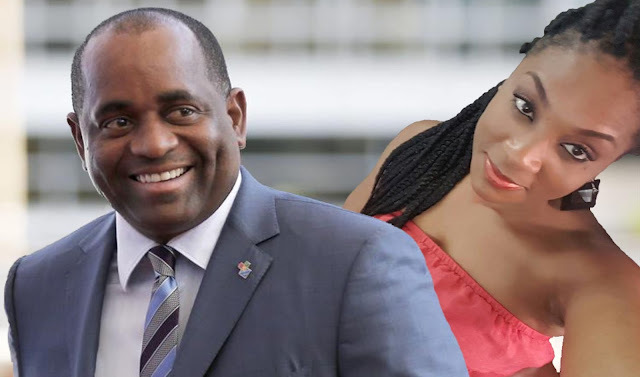 Roosevelt Skerrit is under serious pressure as Prime Minister of Dominica and he tried using the prostitution of Joseph Isaac to create much needed distraction. This distraction was short lived because he failed to gain momentum from this desperate move. In fact, genuine Labourites are even more disturbed by this coward action of their leader. The issues are viciously building on Skerrit and he cannot run away from them. The World Bank money for Farmers and Fishers was blatantly used for vote buying. The Bank demanded a total audit and there are still many farmers and fishers who were politically victimized. The World Bank money for Small Businesses was rudely taken away from them. Thousands of small business owners went through the process hoping to be one of the 1500 owners to get $5376. But Skerrit insulted them by diverting the funds to road works in the East of Dominica. The formation of the CREAD is not going on properly and Skerrit is being pressured by International Donors to include the Parliamentary Opposition in the process. Skerrit is calling for unity but is doing something totally opposite. Skerrit is afraid to called a Meeting of the Parliament. It was last called on October 7, 2017 just to extend the State of Emergency. There are several matters that are in need of the intervention of Parliament. 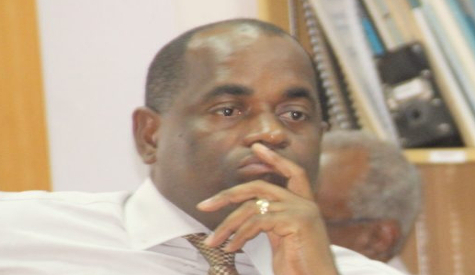 But Skerrit do not want members of the Parliamentary Opposition to debate on critical national issues. Electoral Reform is a must and Skerrit knows that. 10 years and the government has failed to have reform for a voting population of just about 40,000 people. He cannot continue to deny the people free and fair elections. NO REFORM, NO ELECTION. The distribution of building materials is too political and taking too long. Some ministers are upset because Hurricane season is around the corner and thousands of Dominicans are still under tarpaulins. He cannot continue to play party politics with building materials given to us by International governments and institutions to assist Dominicans to rebuild our homes. Some ministers are privately saying that they are against Skerrit wanting to build apartment buildings in rural communities where majority of the people own their land. The victims only need the government to assist them to repair their homes or help build new houses. We are less than two months away from a predicted very active 2018 hurricane season and Skerrit has yet to see the commencement of work on our damaged infrastructure. Our road network is scary. The Office of Disaster Management (ODM) lacks the human resource capacity to successfully execute its mandate before, during and after a major hurricane. There are several communities without proper and safe hurricane shelters. After the devastation of Maria how can the government be so heartless? Displaced residents from Petite Savanne rents are not being paid by the gov't and owners of rented houses are threatening to put residents out. The government has also stopped the paying displacement allowance to victims. The psychological and financial pressure is having serious effects on the affected people They are trying to have an audience with their Parl Rep, Kenneth Darroux but he is nowhere to be found. International Agencies are raising serious awareness about the 12 parrots that were smuggled to Germany by Skerrit and his operatives. Stephen Durand was accused of leaking out the secret deal with Skerrit and Martin Guth and he was immediately sent on leave. Skerrit removed our national birds from their natural habitat and send them to Germany. Has the son of Minister Collin McIntyre who worked with the parrots at the Aviary in the Botanic Gardens received a three months scholarship to go to Germany to care for the birds? ROSS University officials were on island recently to look at the Government’s progress on rebuilding our infrastructure and they were very disappointed. They said that there is no way that they are going to evacuate staff, faculty and students via sea again. It was too dangerous and the parents of the students panicked too much. The ROSS officials have been trying to meet with the Prime Minister and he ducked them once again. While the staff, landlords, DOMLEC and others are hoping for the earliest return of ROSS, Skerrit is playing hide and seek. Pure kindergarten babysitting nonsense. The FIFA Fiasco with Francine Baron found its genesis at the last election of the Dominica Football Association that was politically hijacked by the desperate Labour Party. During the last DFA election the government sent a number of delegates to vote for Glen Etienne. There were the likes of Trevor Shillingford (chief architect), Thomas Kentish, Dirk St. Jean son of Petter St. Jean and a crew from Grand Bay. This was well orchestrated to prevent the DFA from being managed by people like Ronnie Isidore, Robertson Hypolite, Ibrahim Brohim, Phillip White, Clifford ‘Bala’ Celaire and others. That is why Senator Baron thought she could violate FIFA’s Statute 15(c) and pretended to be Glen Etienne, President of the DFA. The construction of the Kempinski Hotel at Cabrits has stopped and the government has yet to inform the public about the true challenges being faced by this major project. Don't talk about the Moroccan Hotel. A total disgrace. The five top cops of the Police Force are at loggerhead while making the force a total mess. Chief Daniel Carbon, Deputy Chief Davidson Valerie, Head of SSU Assistant Superintendent Lincoln Corbette, Superintendent Richmond Valentine and Superintendent Cuffy Williams are all mad at each other is one way or another. Williams is suing Valerie for an illegal looting search at his home. Corbette wrote a damning report on the incompetence of Carbon, Valerie and Valentine post Hurricane Maria and they are fuming. If these five guys egos clash in a room, bullets will fly. The removal of Pelham Jno.Baptiste as the head of the Immigration Department is another serious problem plaguing the Police Force. This brings to question, the signing and issuing of Dominican passports to rogues. Was Jno.Baptiste raising too many concerns? The pending sentencing of former Dominican Diplomat and very good friend of Roosevelt Skerrit, Ng Lap Seng by US Courts is not going down well with the Dominican leader. There are also several international crooks who had or have Dominica’s diplomatic passports and are in trouble with the law. Skerrit is a key witness for former St Kitts PM Denzel Douglas who has a Diplomatic passport from Dominica and his matter is expected to be heard later this month. Skerrit attracts the most corrupt individuals around the world. Roosevelt Skerrit plate is overflowing with current national issues and others issues because of his roguish attitude. Not even Lil Tony Astaphan can help him chew them down. In Fact most of them are choking him, that is why he wanted the distraction to breathe a little lighter. He can no longer hold Dominica and Dominicans in darkness. The wind of change is blow consistently over the land and the people are slowly wising up. No amount of calculated distraction can remove the wind behind our sails. Skerrit’s exit is on the horizon and his only choice is to bow out gracefully. Also Skerrit Spiritual Advisor/s must have told him that God is angry. Anyone remembers Penville 5?? Category 5 Maria? ?